I was recently asked to give some advice regarding the best sights in Transylvania for a friend who is planning to take a trip there with the family. I was worried at first that I couldn’t name so many places because I’m really ashamed to say that, even though I’m a local, I haven’t traveled so much in that area. But soon the email grew longer and longer and I realized that there are just so many beautiful sights to see in Transylvania that a lifetime is not enough to visit them all. I decided to share the list here with the hope that I might convince others to make a round trip in one of the most breathtaking areas of Europe. One of the main tourist attractions in Transylvania is the Carpathian mountains and the highest of them is the Făgăraș Mountains in the southern part of the Carpathians. 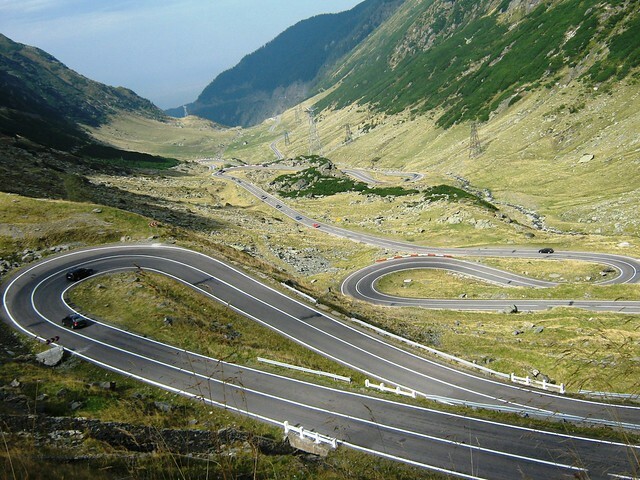 The Transfăgărășan road was built across these mountains, open only during the summer, and the largest glacier lake is also situated here, Bâlea Lake. In the Eastern part of the Carpathians is the biggest natural mountain lake, Red Lake, and in its downstream you will find the Bicaz Canyon connecting Transylvania to Moldavia. The serpentine road through this canyon looks dangerous and you will discover hidden caves in the rocks. A small but beautiful city is Sighișoara (Segesvár). The Citadel in the historic city center is still inhabited and listed as a World Heritage Site. Vlad Ţepeș, the inspiration for Bram Stoker’s character Count Dracula, was born here. I must of course mention my home town Târgu Mureș as well. A walk through the city center to admire lovely buildings from the Austro-Hungarian Empire like the Cultural Palace or the Prefecture Palace, a browse through the rarities in the Teleki Library, a visit to the fortress, the river Mureş, Peninsula / Félsziget Festival for music lovers, the Cornesti Plateau park with one of Romania’s biggest zoos, the country-wide famous Recreational Resort Mureşul „Weekend” for some fun in the sun, the racecourse for horse-riding and last but not least the Aeroclubul Român for flying trainings and other extreme sport activities are only a few of the sights worth visiting. For a good hearty Transylvanian meal stop by my favorite restaurant, Laci Csárda. My most favorite restaurant for fish is the Halászcsárda Vármező. The fish lakes at Vármező are Romania’s biggest for trout breeding. Sovata is very popular among tourists and locals alike for its warm salty water, the Bear Lake being visited by hundreds of people daily during the summer. A short drive through the village Sărăţeni will give you an opportunity to admire the famous szekler gates and to witness one of the places where the szekler Hungarians are in majority. Another commune with Hungarian majority is Praid and it’s widely know for having the most important and impressive salt mine Salina Praid which houses playgrounds, museums and is famous for medical treatments including salt baths. Still in the szekler area is Corund, famous for its specific pottery. The natural reserve Cheile Turzii is one of the best places to enjoy the nature. Various animal species and caves will impress everyone and it’s also the main site for rock climbing in Romania. Other nice spa towns in Transylvania are the Băile Bálványos, Băile Felix and Borsec. If you have a chance to visit the last one, you should save some time to go to the Bear Cave. The largest cave in the country is the Wind Cave. Two of the most prominent castles in Brașov county are the Bran Castle famous for Dracula and Peleș Castle. If you happen to go to Peleș Castle, make a visit to Poiana Brașov and Sinaia too. Hunyad Castle and Bánffy Castle are also worth visiting. 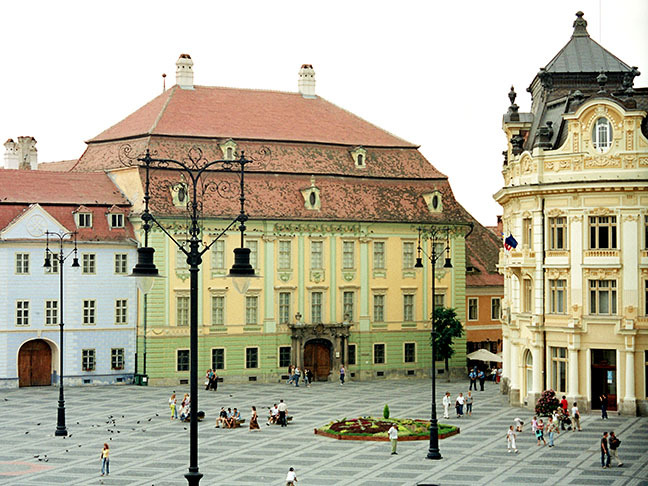 The nicest Transylvanian city (in my opinion) is Sibiu. A stroll through the city center will convince you that this city has still kept a lot of influence from the old times. Brașov (Brassó), Oradea (Nagyvárad) and Timișoara (Temesvár) follow close in the top of the Transylvanian nicest cities. These are indeed some great places to see. Keep recommending and try to get people to visit Romania.